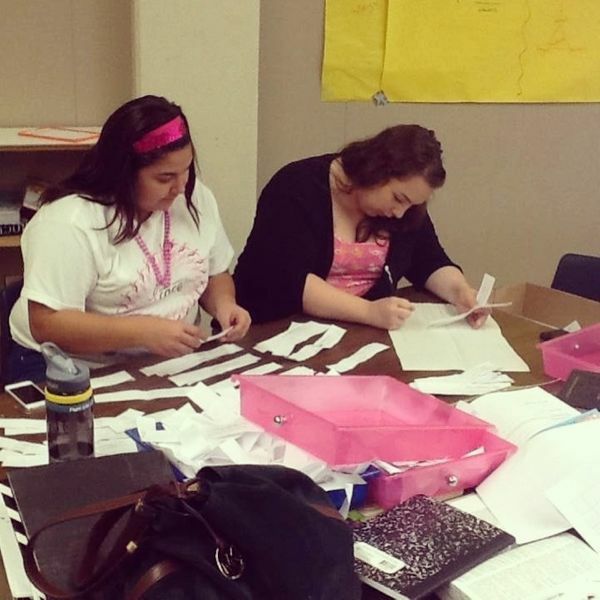 This is Caitlin and Amalia and they are counting Homecoming nominations for grade level King and Queen. In two weeks they'll be counting the actual votes as well. A thankless job, but they were smiling and having fun throughout the ordeal! These girls truly help run the school. Amalia is president of two organizations and Caitlin is involved in too many activities to list and also makes announcements over the intercom (using the secret code that I haven't even been shown) as if she was already an administrator.